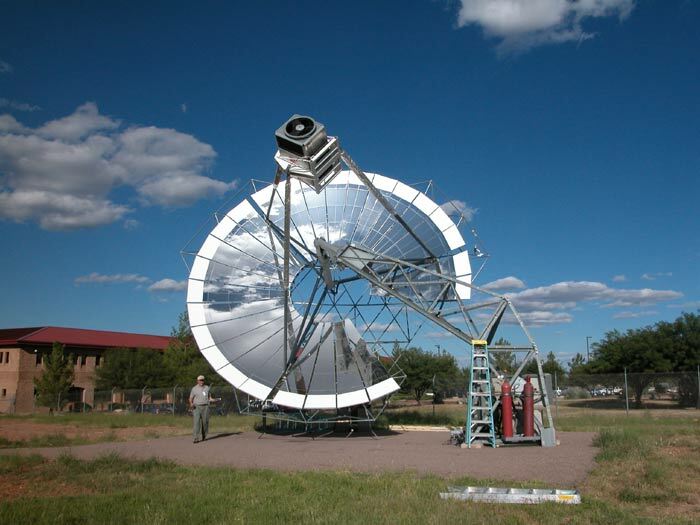 This Dish/Stirling solar thermal electric generator was first installed in Jan 1996. It is currently operating at 7.2 KW at 950 W/m2. Hangar 1 is one of two hangars with a 2300 SF Solarwall and 30 daylighting units installed. The daylighting was installed in 1998 and the Solarwall was installed in 2001. 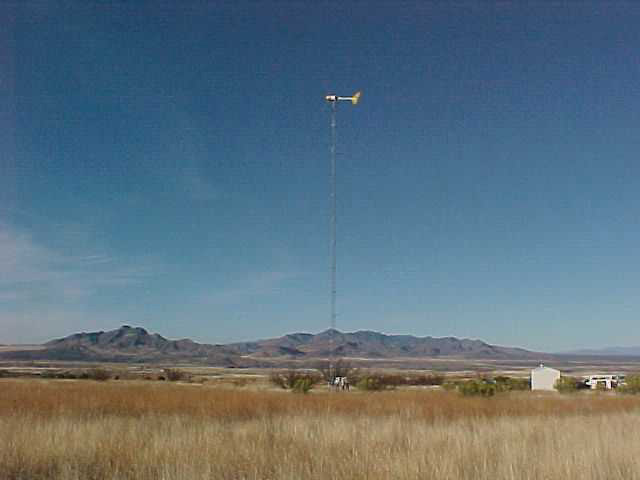 This 10 KW wind turbine was installed in Feb 2002. 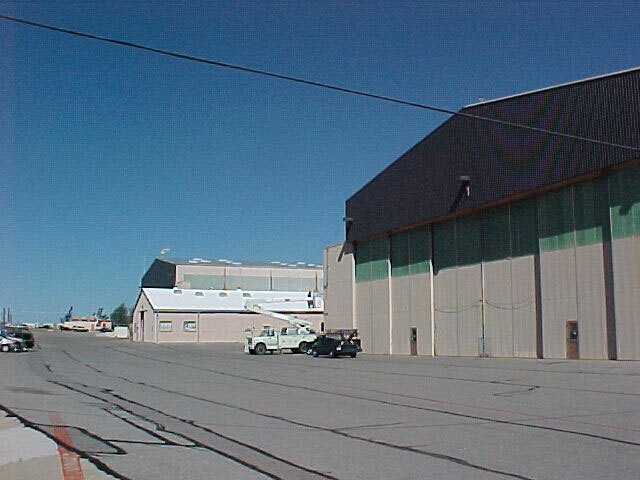 This picture shows both Hangars 1 and 3 with the Solarwalls and a third building with daylighting. 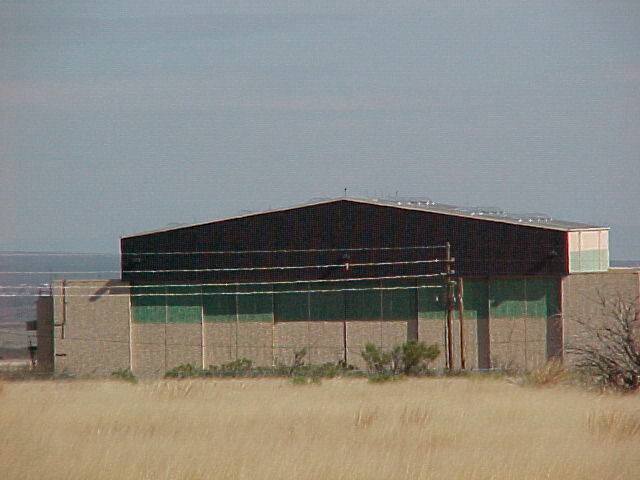 The daylighting in the middle building and Hangar 3 was installed in 2000. Barnes Field House has various renewable energy systems installed on it. The main gym has 24 daylighting units installed in 2001. The West facing PV system is 4.8 KW and was installed in 1998. 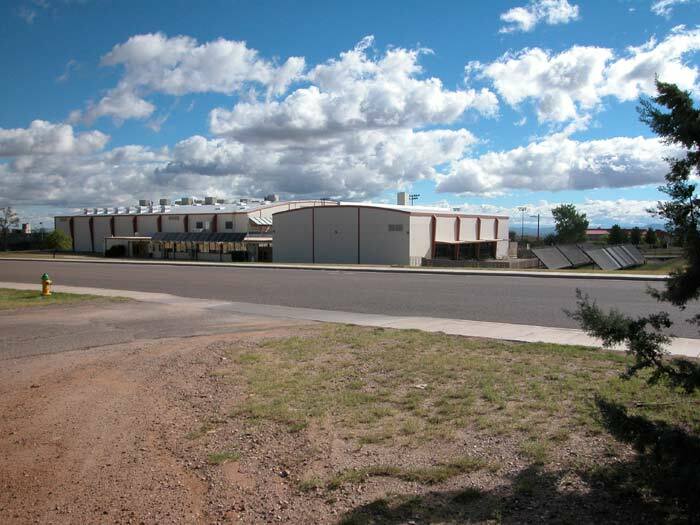 The domestic hot water system on the side of the field house (center of the picture) is 960 SF and was installed in 1981.The ground mounted pool solar system for the indoor pool is 2000 SF and was installed in 1980. They are all operational. NOTE: Photos obtained from the photo gallery are to be used for lawful purposes only. 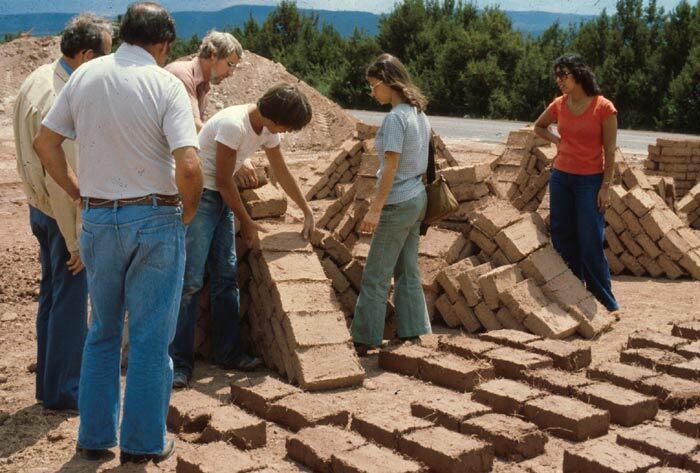 Any commercial use must receive prior approval from the Arizona Solar Center. Credit shall be given to Photographer along with Arizona Solar Center, and no affiliation with Arizona Solar Center is to be implied.